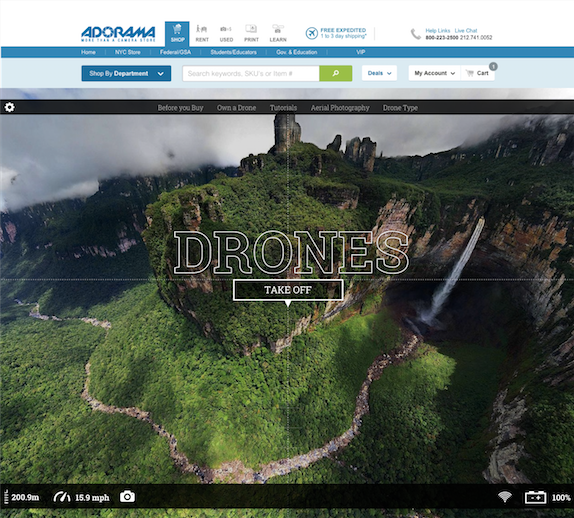 Adorama, one of the world’s largest photography, video, audio, imaging and electronics retailers, today announced the roll out of its new Adorama Drone Experience. 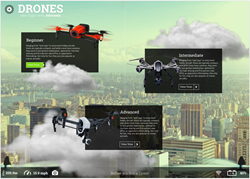 A digital hub for all things drone – including jaw-dropping aerial content, the latest on flight rules and regulations, tips and techniques from experts, gear guides and more – the Adorama Drone Experience is designed to equip photographers and videographers with the technical information and creative inspiration they need to take their drone shots to the next level. Laced with humor, Adorama Drone Experience contributor Nils Granholm shares valuable experience and advice for photographers and videographers jumping into the drone game. Working with remotely piloted vehicles since 1986, Nils’ diverse aerial imaging work includes Hollywood productions, commercial entities like Volkswagen and the US Department of Homeland Security. Drone enthusiasts can get a taste of what to expect from Nils on AdoramaTV and the Adorama Learning Center by reading his latest article on new drone purchases (http://www.adorama.com/alc/i-bought-a-drone-now-what) and video on drones, “FAA and You,” at http://www.adorama.com/alc/episode/drones-the-faa-and-you. Designer, educator and photographer Dirk Dallas, who has taken the aerial photography and cinematography world by storm, will also be among the A-list contributors to the Adorama Drone Experience. “After making images for 10 years at eye level, I needed a new challenge. Capturing photos and video from the air with a drone has fulfilled that need because it allows me to see the world in a completely unique way. I'm excited to partner with Adorama to share everything I have learned thus far in my journey and help drone photographers pursue this new and exciting field,” comments Dallas. A fan favorite from Adorama’s “Through The Lens” series, Dirk’s knowledge and creativity can be seen in recent AdoramaTV videos and Adorama Learning Center articles at http://www.adorama.com/alc/?s=dirk+dallas.